With 9 years of comedy experience as a comedian it comes as no surprise that Kedibone is in constant demand as both a headline act and MC across the national comedy circuit. And him being part of the same line up with Chris Rock when he was in the country cemented that. His mother calls him the funniest comedian on earth (well, why are we not surprised, she also thinks he is the best singer in the world), the corporate clients he has performed for call him a comedy genius that always tears the roof off with his witty and hilarious yet relevant punch lines. Kedibone’s international appearances includes performances in Korea (South that is), South Bank Arts Centre London-UK, Atlanta, Tanzania, Zambia, Lesotho, Swaziland and Botswana. The one thing that sets Kedibone apart from his peers is that he writes his sets for international audiences, his jokes are funny in South Africa and anywhere else in the word. His topics are based on everyday life, childhood upbringing, observations and international current affairs and a bit of subjects that people do talk about and also those that they don't talk about, but wait for comedians to do comedy about. 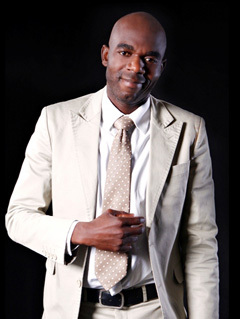 Kedibone is the guy next door, the comedians’ comic, the class clown that grew up to do just that. With a handful of standing ovations and encores performances for all South African State Presidents (Dr Nelson Mandela, Mr Thabo Mbeki and President Jacob Zuma) and two Nobel Peace Prize winners (Dr Nelson Mandela and Archbishop Desmond Tutu) there is no doubt that Kedibone Mulaudzi is one of the few top South African comedians that delivers, unlike most politicians. Kedibone is destined for greater things and landmarks in the world of standup comedy.